It is important that all members of a society are functionally literate. UNESCO defines the following: "A person is functionally literate who can engage in all those activities in which literacy is required for effective functioning of his group and community and also for enabling him to continue to use reading, writing and calculation for his own and the community’s development.". Functional literacy is one of the key targets of the Sustainable Development Goals (SDGs) of the United Nations. Achieving this goal is obviously an objective of basic education. 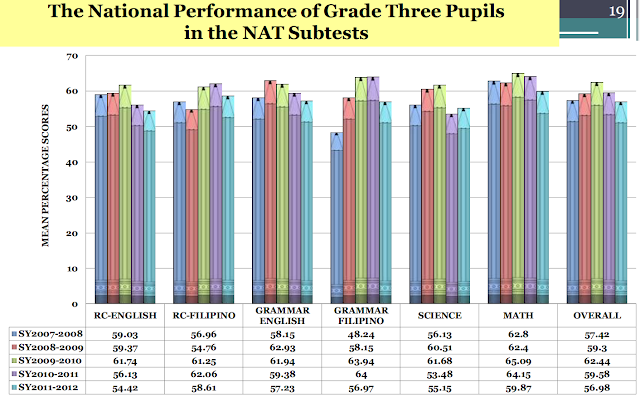 Unfortunately, while we focus so much on reading, writing and mathematics, we might just be missing non-academic factors that in fact strongly correlate with functional literacy. 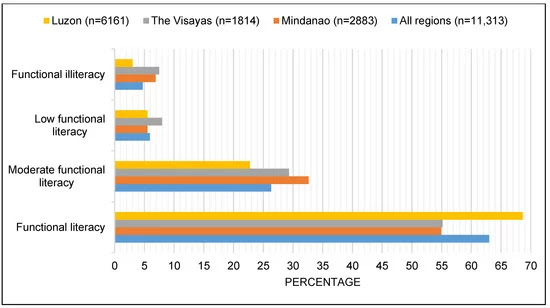 Examining data from 2008, researchers find that in the Philippines that within the region of Luzon, functional illiteracy of school-aged children correlates with sources of drinking water and type of toilet facility. 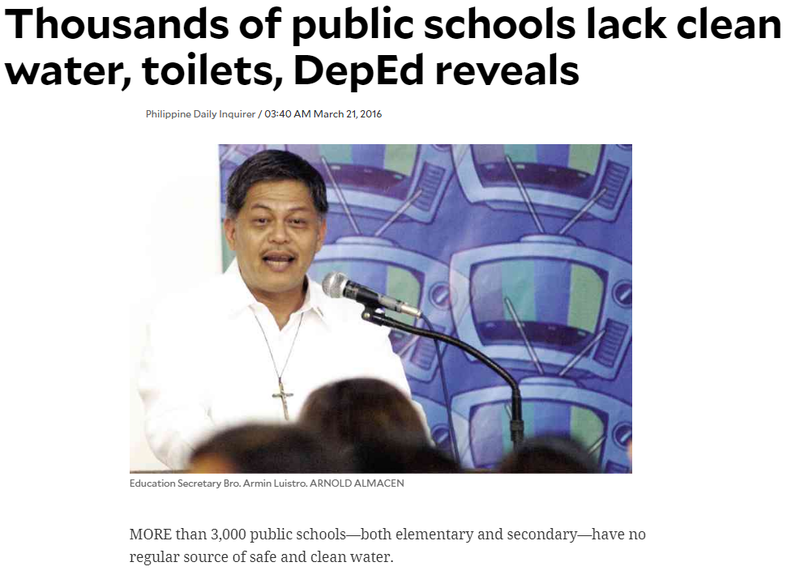 After spending a lot of time, effort and money on a new curriculum, the Philippines still finds in 2016 that thousands of schools still lack safe drinking water and toilet facilities. Half of these toilets do not even have running water. 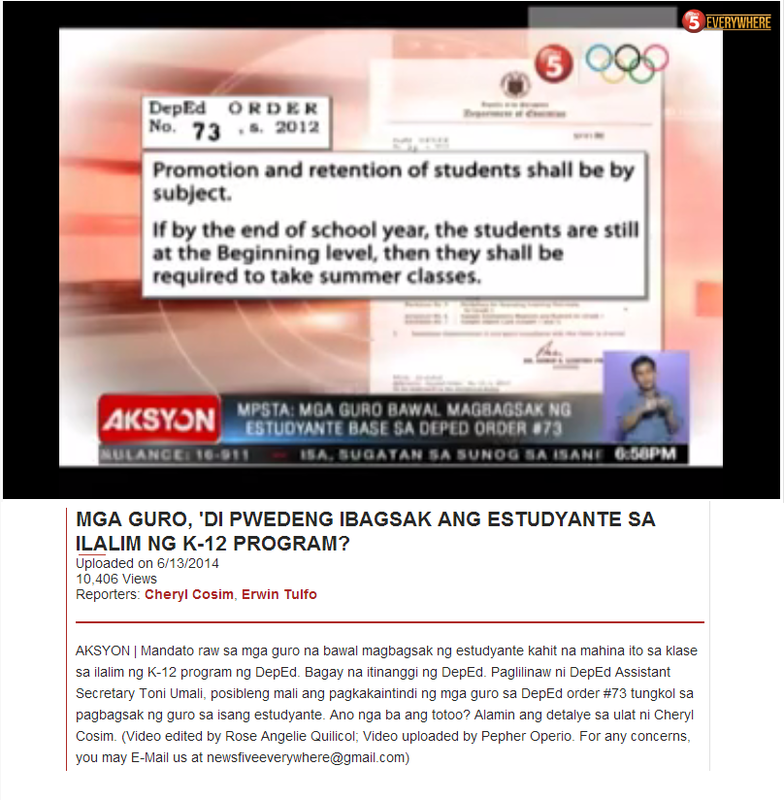 We can design and change the curriculum in so many ways but without addressing the basic needs of students, we will not solve the problems plaguing Philippine basic education.